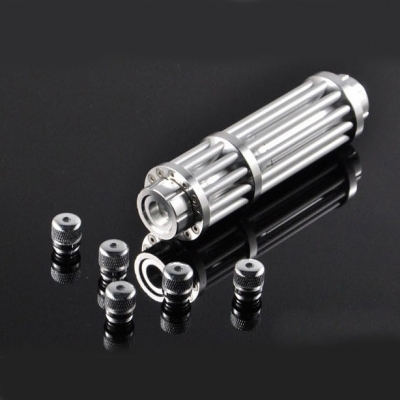 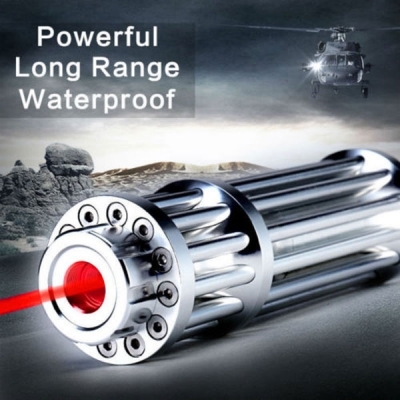 Gatling Lasers are the latest laser flashlight, it looks like a Gatling Gun and designed with a focusable lenses, metal body ,super cool and nice appearance! 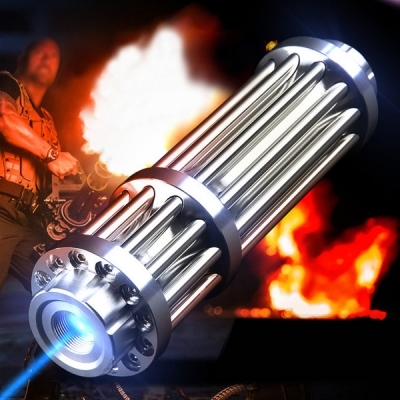 It feels really good to handle this in your hand! 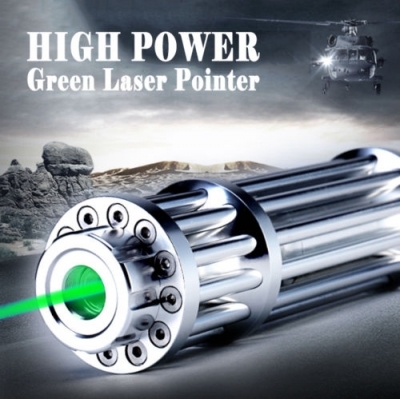 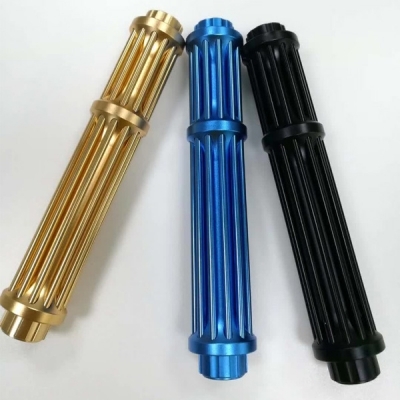 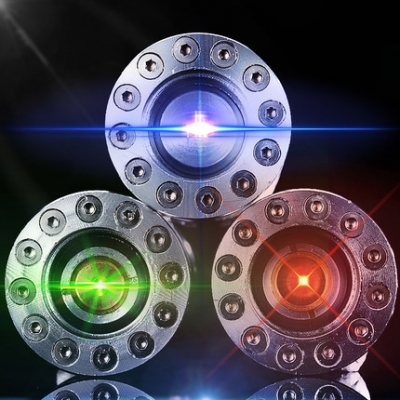 Htpow offer you all colors of gatling lasers: green laser pointer , blue laser pointer , red laser pointer and violet laser pointer .These gatling lasers are both high powered laser pointer ,they are so strong that even during bright daylight you will still see the extremely powerful laser beam from long distances away. 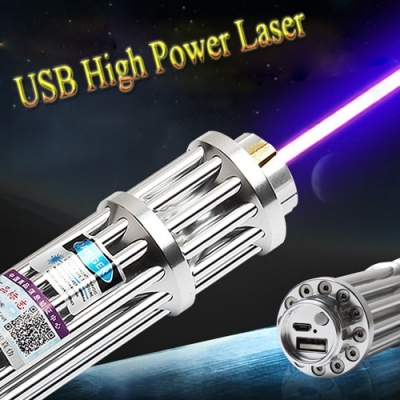 You can use these gatling laser pointers as burning laser pointers to pop a balloon, burn matches and even burn engrave plastic! 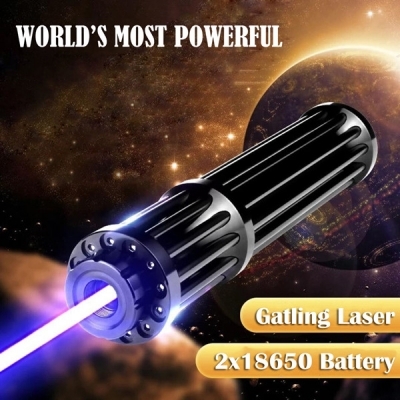 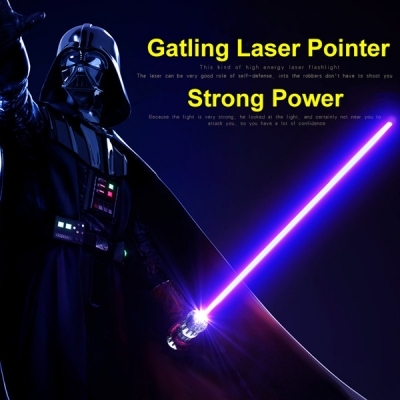 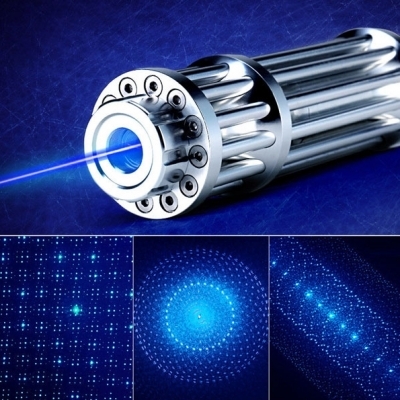 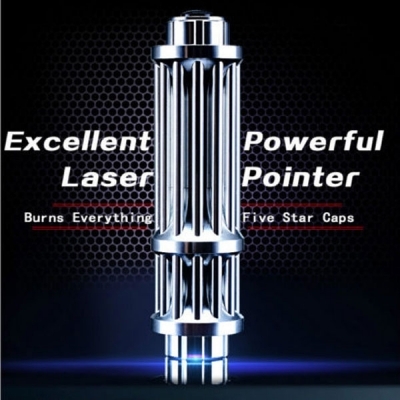 Gatling lasers are not toy for children, they are high intensity laser pointer for adults only!